The Ashton tradition is rooted in the company's unparalleled commitment to quality and consumer satisfaction. 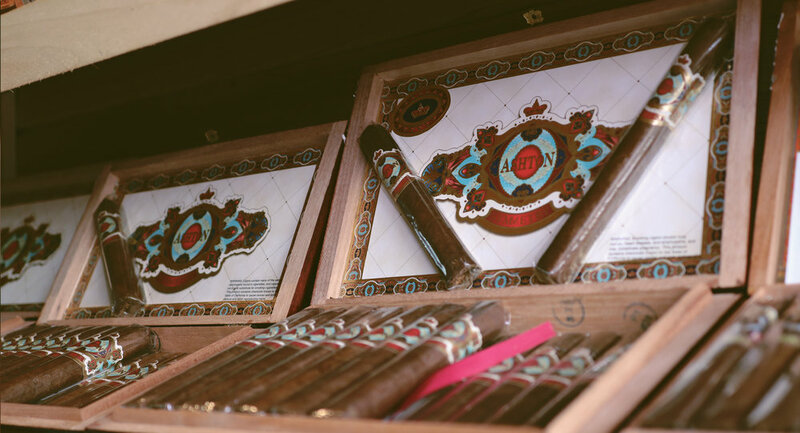 Handmade in the Dominican Republic in the legendary Tabacalera A. Fuente factory, Ashton cigars utilize only the finest, most exceptional, aged tobaccos. Every detail, from meticulous wrapper selection to the complex processes of aging and blending, receives the utmost accommodation in the manufacture of each cigar. Ashton has received numerous awards and accolades through the years and is a perennial "Top 5" brand in the U.S. market, as well as an international favorite with distribution in over 60 countries around the world.